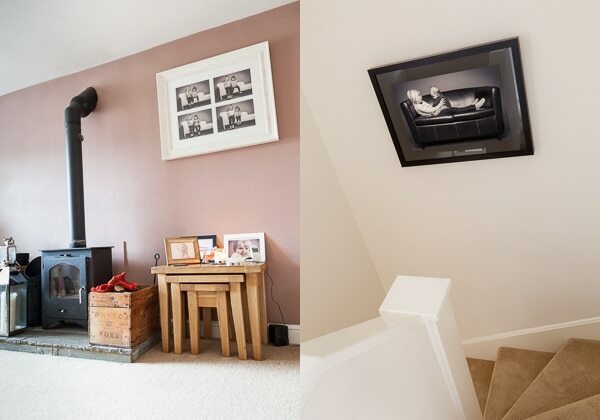 There’s something very wonderful but equally surreal about walking into someones family home and seeing their walls adorned with photographs you’ve captured. It’s both incredibly flattering to see your efforts featured so prominently in their day to day life but also mildly scary when you realise how treasured these personal artworks really are to them, I suddenly feel a hefty weight of professional responsibility. It reminds me very much of the mixed emotions I felt the first few times I walked into WHSmith and set eyes on either a book jacket or magazine cover illustrated with one of my photo creations, a strange mix of ego static joy and mild fear. As I’ve progressed slowly through my career the gravity of this sense of professional responsibility has grown in magnitude. I naively thought it had peaked on the day I was driving along some London A road and stumbled across a 48 sheet billboard poster splattered with one of my images (I very nearly wet myself with excitement), but I was wrong. 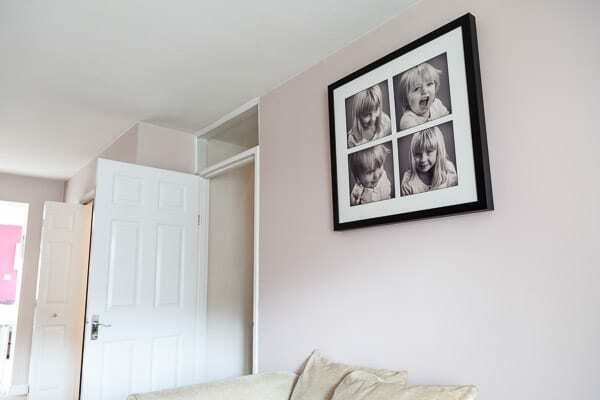 Magazines, book jackets, billboards, bus shelters hoardings… they all come and go but bespoke wall art in a family home, well that’s around for a lifetime, at least! Never before have I felt such an overwhelming sense of responsibility to give people the very best I can offer, both in terms of photographic excellence and in the physical quality of the handcrafted artwork. The photographs illustrating this post demonstrate this perfectly. This lovely family first visited me about 4 years ago when their youngest daughter was barely sitting and their eldest beamed a wonderfully toothless gummy grin. 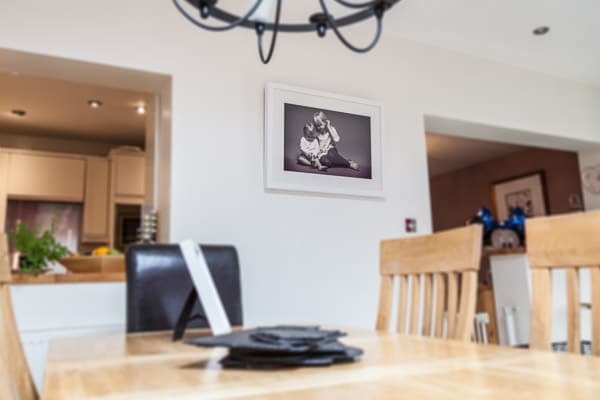 The portraits on their walls represent so much more than just stylish additions to their home decor, they are cherished family heirlooms that document a real family’s passage through life together. Portrait photography is something I take very seriously. Yes of course the technicalities such as lighting, composition and retouching (yawn yawn) are all important, although one could argue that as a professional photographer these things should be taken as a given, but the capture and final presentation is far more crucial. 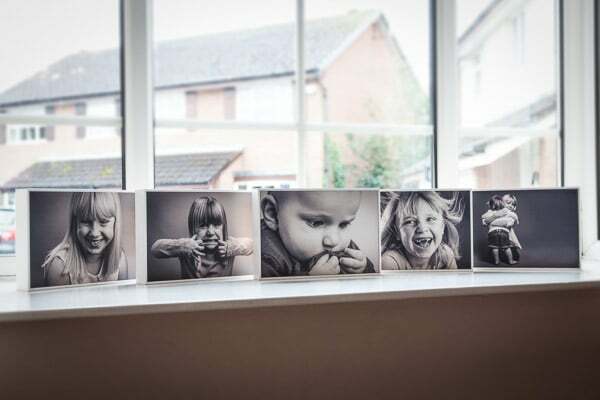 Beautiful and meaningful portraits need to capture real expression, personality and emotion. I’m really not interested in following the latest fads or trends in contemporary portraiture, they come and go plus consequently have an unpleasant tendency of looking rather dated in a year or two. My own personal preference is for a stripped back yet mindful simplicity, both in terms of my photographic style plus in the way I prefer to present them as finished art afterwards. A timeless and consistent quality is both what I strive for plus what my clients truly deserve. A heartfelt thanks to our amazing clients for generously allowing me to intrude on their family home and share these images with you. It has been, and I hope will continue to be, a true honour and pleasure to work with you all. Nowhere To Hide… Pure & Prop Free Newborn Photography →← Should I book a maternity photoshoot?